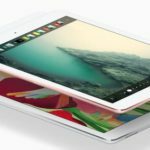 Sometimes it is really hard to keep your iPhone or iPad alive for a whole day. Especially when you are a heavy user, like me. No problem if you can charge it at home or in the car, but what is you are on a place with no charging possibilities like in an airplane or somewhere in the desert. There are several solutions available. First of all, you can toggle several functions to ‘off’. This is especially useful when you don’t really need al the features at that moment. For the power users that are always on the go, and simply don’t have time to wait for a charge, several battery packs are available. Location Services: Go to settings / location services and toggle the switch to ‘off’. This is really a power-saver! 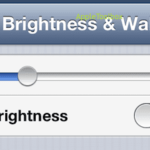 Auto-Brightness: Go to settings / brightness and toggle the switch for auto-brightness to ‘on’. This will automatically adjust your screen brightness based on ambient light conditions. There are numerous numbers of batter-cases available on the market. Most of them are nice, but not enough for power-users. Although, there are a few products, that don’t come cheap, that are very suitable as a back-up battery or as a continue enlargement of the existing power-source. 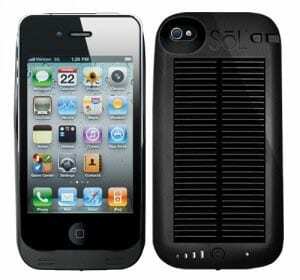 The Sol Hybrid Power Pack is a $89.95 charging device that offers an impressive 2.400 mAh of power. More than tripling the existing power of your iPhone! You can charge this power pack in advance using a normal wall-outlet. When in use, the Power Pack will continue charging thanks to the integrated solar cells for indoor- and outdoor light. With this pack, you can last for days, without physically charging your iPhone. The surface of the case feels rubbery with textured bumps on the side. This results in a very comfortable and save grip. The Mophie Juice Pack Plus offers a 2.000 mAh of power. This will more than double the original power of your iPhone. Big advantage of this one is the minimum weight of just 2,5 ounces. When you feel it in your hand, it adds minimal weight and thickness to the iPhone. 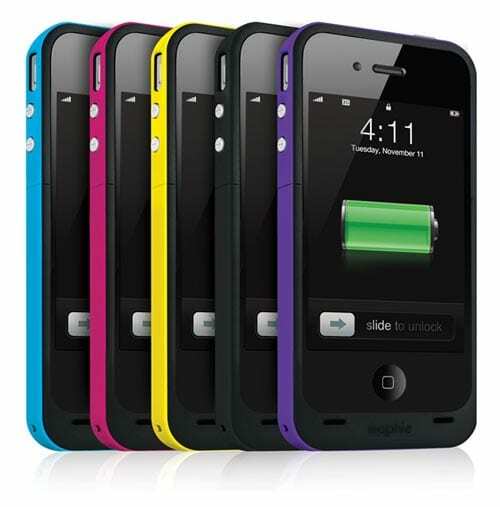 The cases are available in several trendy colors and are only compatible with the iPhone 4 & 4S. Costs are $99.95. Whatever package or solution you will choose, it will definitely extend the battery life of your iPhone, iPod or iPad! mAh are units of electric charge, not power.